Wintertime in the Pacific Northwest means snow, rain, and the occasional ice storm. The inclement weather can very quickly lead to unsafe situations for all drivers on the road. While it’s up to the motorists to maintain a safe following distance and drive with caution, community managers also play a role in keeping drivers safe. Highways and roads should be maintained and prepped so that they can safely accommodate the vast amounts of vehicles that travel down them every day. 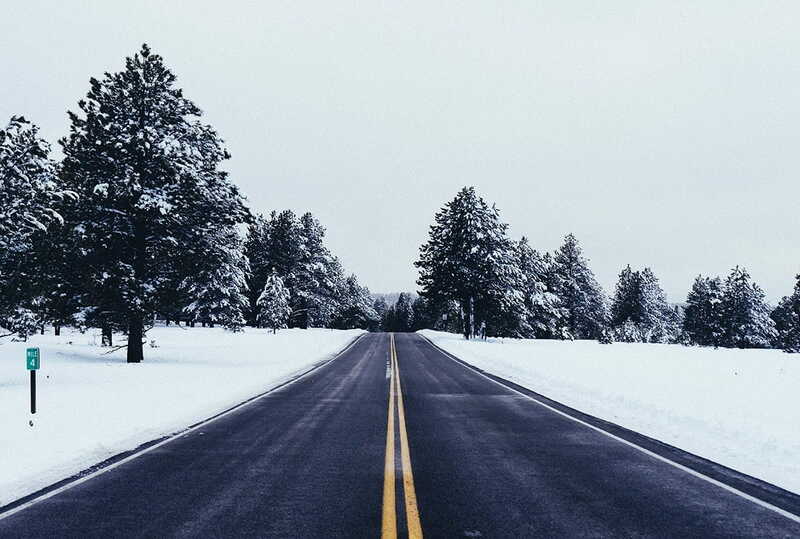 Our team at Stripe Rite is giving you five tips for safer winter roads in your community. They will help ensure that drivers safely get to their intended destination and in some cases can help extend the life of the roads and highways. Due to the freezing Pacific Northwest winters, you may notice the asphalt on the road will start to form tiny little cracks. If nothing is done to patch or repair them, material such as dirt, water, and even ice will make their way into the cracks and make them even bigger. This is where small potholes begin to arise, and it only takes a few seconds for a small crack to give way to a deep hole. By hiring a company like Stripe Rite to patch the cracks, you’ll not only be ensuring the longevity of the asphalt but the safety of drivers as well. Did you know that black ice ranks as one of the top three winter safety hazards on the road? For many people, they don’t even notice black ice until it’s too late. If the temperatures fall low enough, patches can randomly form on the roads, parking lots, and highways. A car, or truck traveling down the highway while going under the speed limit could potentially hit a patch of black ice, leading them to lose traction and spin out of control. If you know that a storm is coming, it’s best to pretreat walkways and parking lots. Mixing sand with salt can also be used to provide more traction. Nothing lasts forever. Over time, the paint on a road will being to fade and crack. This presents a safety hazard in snow, rain, or icy conditions. If motorists cannot clearly see the lines on a road, the chances of an accident go up exponentially. Highly visible pavement markings help direct traffic and ensure the safety of pedestrians and motorists. Features such as wheel stops, reflective elements, and durable plastic materials will help ensure that pavement markings can visible when snow and ice are covering them. Whether it’s a small parking lot, major roadway or airfield, Stripe Rite has the equipment, man power and knowledge to handle any of your pavement marking needs. Staying safe in the wintertime means following the rules of the road and obeying all posted signs. But what happens if a sign is worn, has graffiti, or is otherwise damaged to where it’s hard to read while driving? High-quality regulatory, traffic, and construction road signs are a must-have for community safety. By replacing old, worn, and faded road signs, you’ll be improving the safety of all drivers no matter how bad the weather. Find out more about the importance of proper signage in our blog. At Stripe Rite, we take community and road safety very seriously. If your roads, signs, or parking lots are showing signs of wear and tear, give us a call today at (800) 427-0484. We’ve been around since 1984 and pride ourselves on the quality of work and customer service we offer.